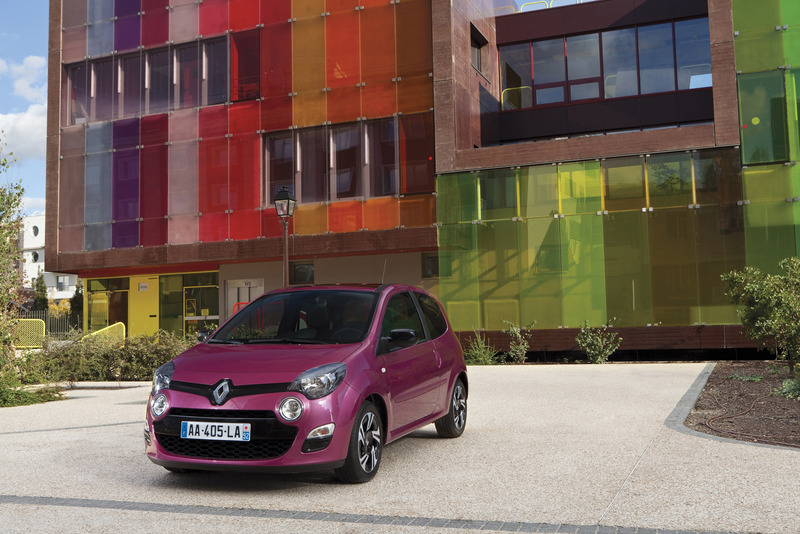 New Renault Twingo is the first vehicle in the range to feature Renault's new design identity. New Twingo will go on sale in early 2012, and the incorporation of a number of styling features that will soon contribute to the visual signature of all Renault models ensures that it proudly displays the optimism that is emblematic of the Twingo spirit. 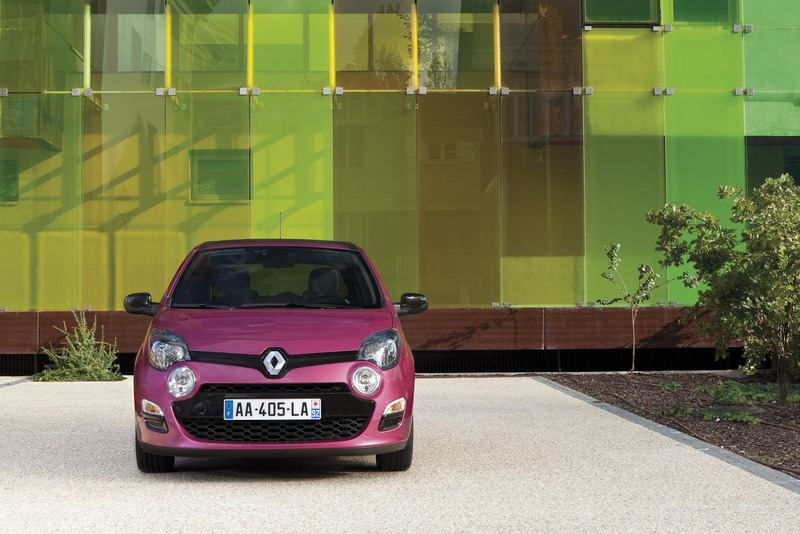 New Twingo returns to its roots with a particularly expressive and engaging front end. 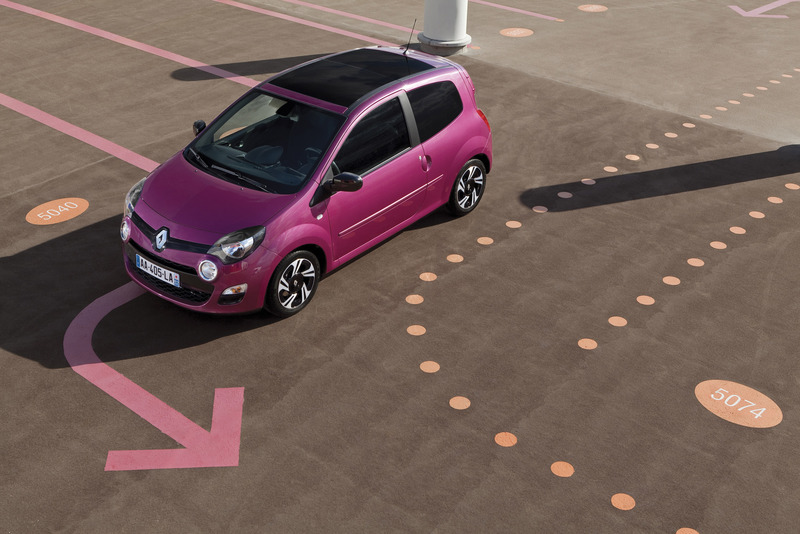 To strengthen further the bond with its owners, New Renault Twingo offers an even bigger choice of interior and exterior customisation accessories that will enable every customer to create "their" Twingo. 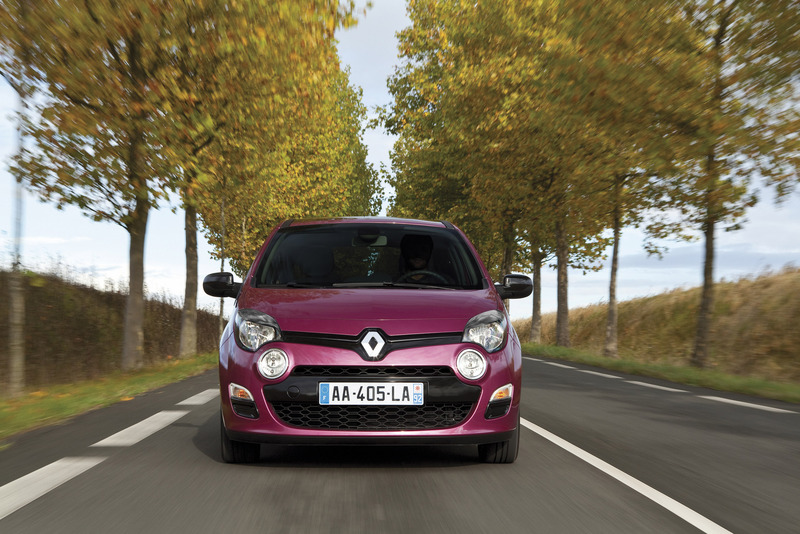 New Twingo is still as fuel-efficient and environmentally friendly as ever. 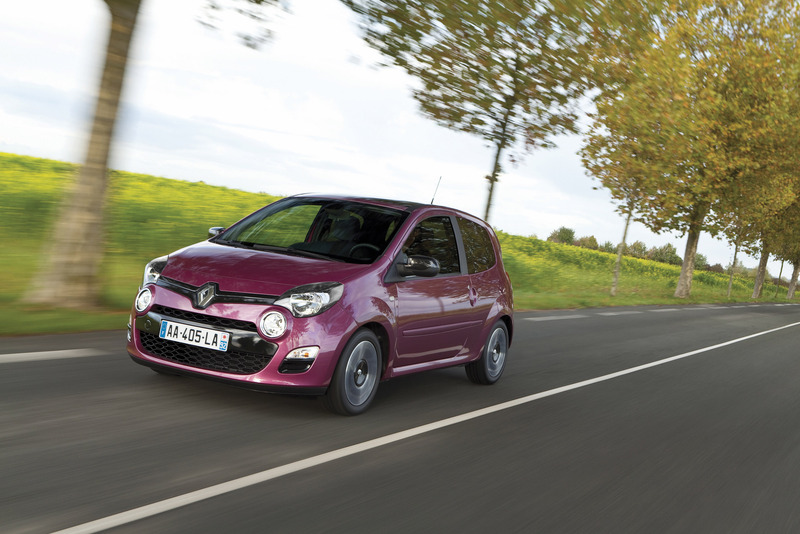 Renault's constant focus on improving powerplants and vehicle aerodynamics has made New Twingo one of the most competitive internal combustion-engined vehicles for fuel economy and low CO2 emissions. New Twingo will achieve a benchmark combined cycle fuel consumption starting at 3.2 litres/100km and will emit just 85g/km of CO2 when powered by the 1.5 dCi Diesel engine due out in 2012. New Twingo retains its best-in-class status, boasting unequalled versatility, acclaimed interior space and a raft of engines. 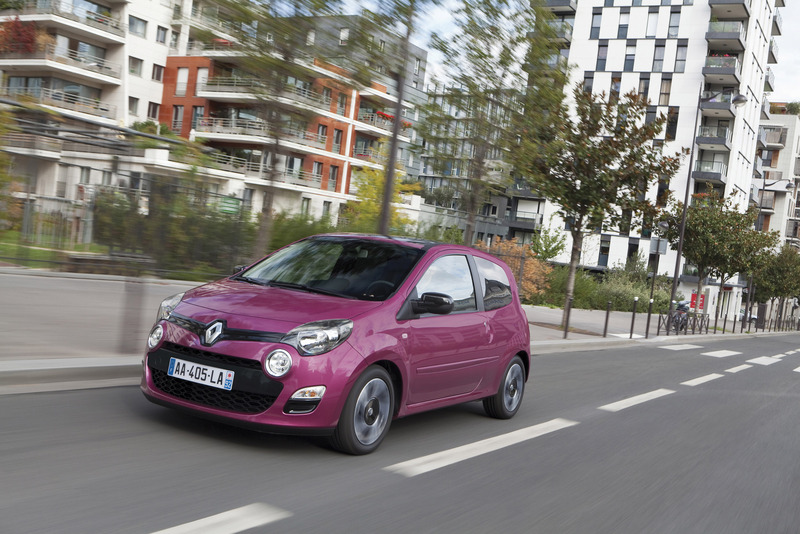 More than capable of devouring long distances, New Twingo can even appeal to sporty customers on circuits thanks to the Renault Sport-developed Twingo R.S. and Gordini R.S. versions. New Twingo's refined look, build quality (it is produced at the Novo mesto plant in Slovenia) and widely acclaimed reliability ensure that it will please the widest of customer bases. 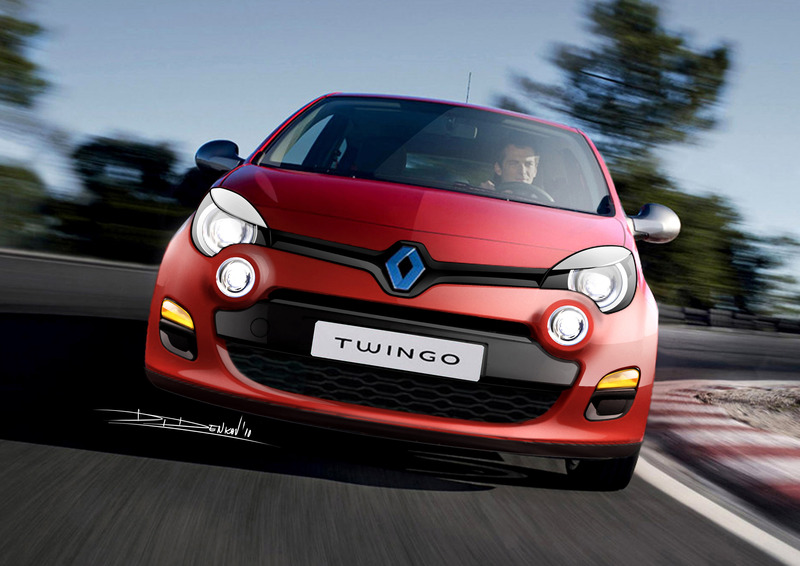 New Twingo's front end has taken its inspiration specifically from Renault's new design identity. On the bonnet, the Renault diamond is both larger and significantly more upright. A black background highlights the badge and presents the brand in a robust, confident manner. 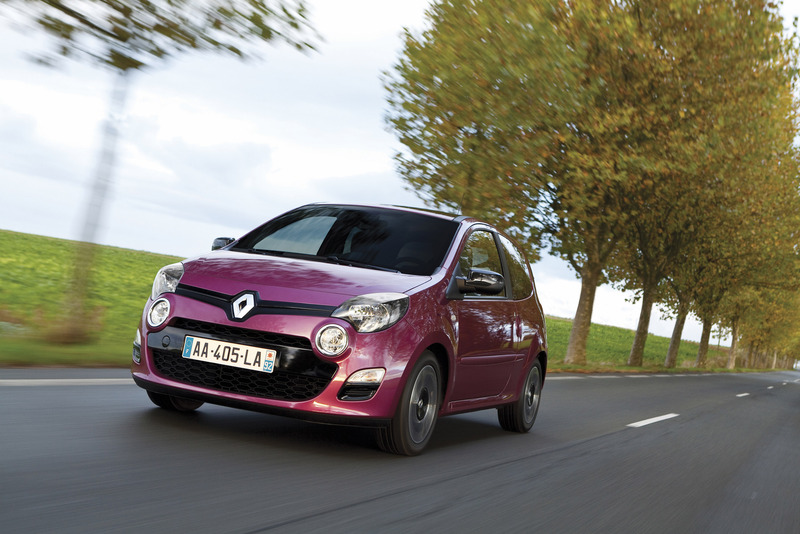 Like the first-generation Twingo, the newcomer features an expressive, appealing front end. Its dynamic, playful character is underlined by its fog lights and round sidelights which are now positioned next to the grille. The ‘eyelids' of the headlights also contribute to New Twingo's distinctive looks. Warm, original new colours called Fuchsia, Bermuda Blue and Sirius Yellow on the R.S. version have been added to the range of 11 body colours and bring a touch of lighthearted fun that's characteristic of city cars. 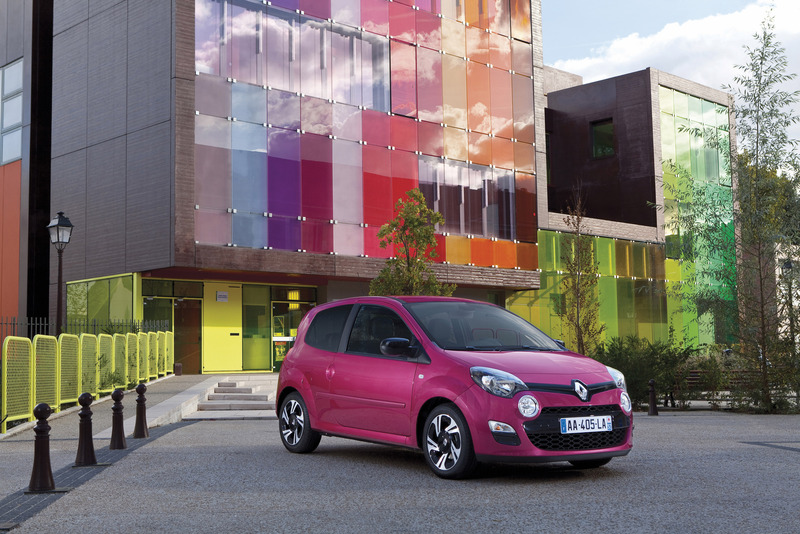 Inside, Twingo's bubbly character is enhanced through the harmony of colour and materials. All the upholstery options have their own personality. The seats feature new patterns, with edging picked out in contrasting colours. All stitching, as well as the leather and imitation leather panels, are coordinated. The colours also feature on the climate control and heater system controls and door inserts. The lateral air vent surrounds come in different tones (Gloss Black, Majorelle Blue, Anis Green, Medium Tropical Gunmetal) and their controls are detailed in chrome. Depending on market, the higher-end equipment levels offer clearly differentiated interior trims: masculine and sporty in the case of the Dynamique, GT, Renault Sport and Gordini versions; or more comfortable and feminine with the Privilege and Initiale packages. 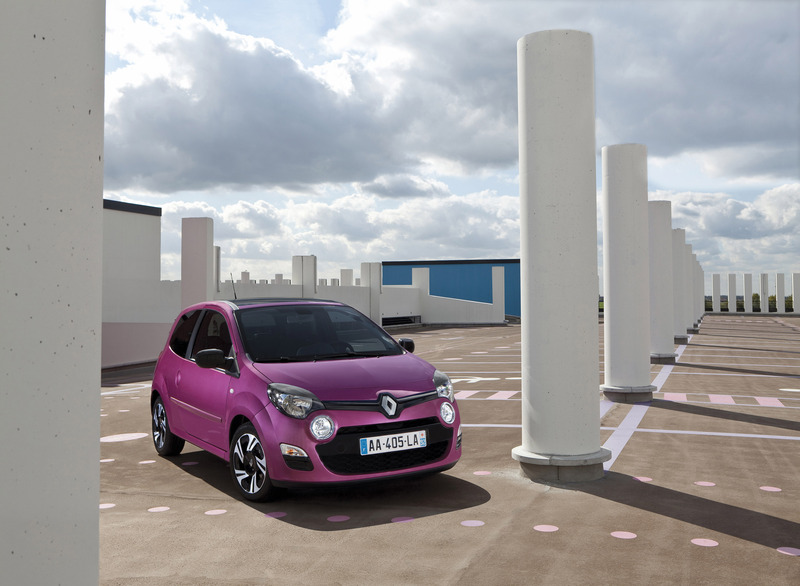 New Twingo R.S., which will hit the market in spring 2012, features the sporty derivative of Renault's latest visual signature. The signature Sirius Yellow body colour will be available as an option. In addition to its dynamic grille incorporating four lights, New Twingo R.S. features an F1-type blade in the front bumper. This design touch, which can now be found across the Renault Sport range, echoes Renault's success in Formula 1. Customers can personalise the exterior with a design pack which sees the F1 blade, door mirror housings and R.S. spoiler all picked out in anthracite. The rear end features a sports spoiler on the hatch and the rear bumper incorporates a special diffuser. 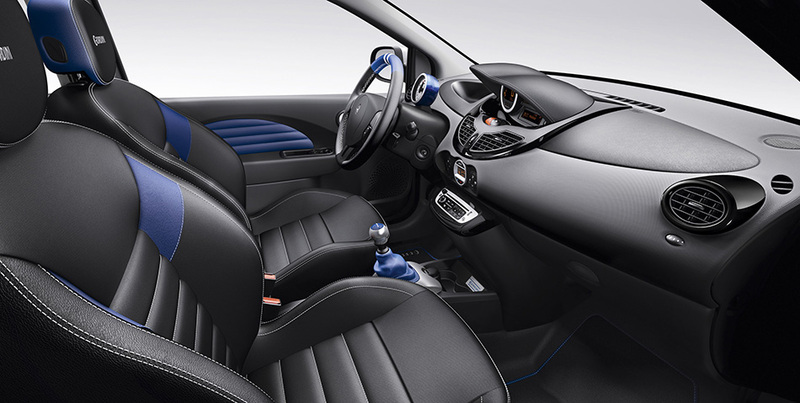 Inside New Twingo R.S., the yellow stitching used for the steering wheel, seats and dashboard cowling is in perfect harmony with the hallmark colour of the brand and the other Renault Sport models. The dashboard, audio console, rev-counter housing and lateral air vents are finished in Gloss Black. A new white interior tone has also been introduced for the upper part of the steering wheel, seat and seat-back edging and rev-counter bezel. The optional R.S. Monitor onboard telemetry system, which has proved so popular on Clio R.S. and Mégane R.S., is also available as an option. The Malta Blue body colour and white stripes characteristic of the Gordini brand are available on the GT and R.S. 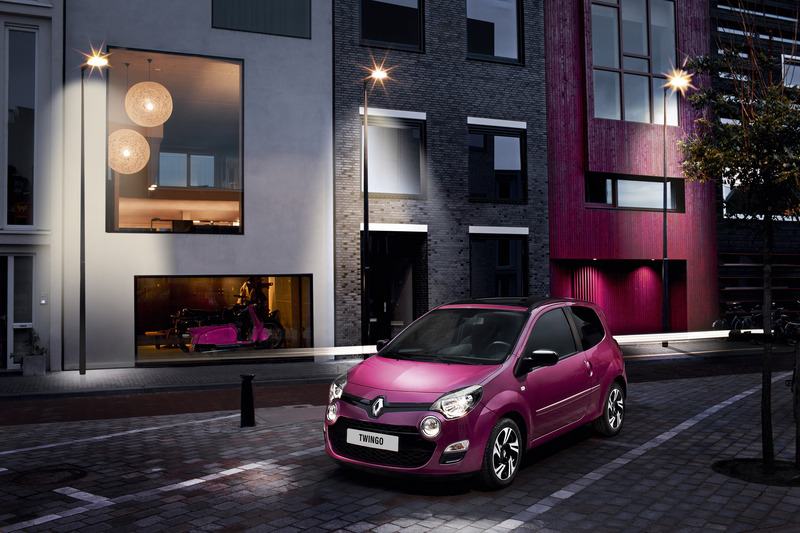 versions, bringing a sporty touch to the fashionable city car. Its instantly recognisable looks and new 15-inch black diamond-effect wheels are ideal for customers who want a chic and sporty car. Customers looking for a more subtle design can opt for the new grey interior trim and one of the alternative body colours: Glacier White, Pearlescent Black or Vif Red. 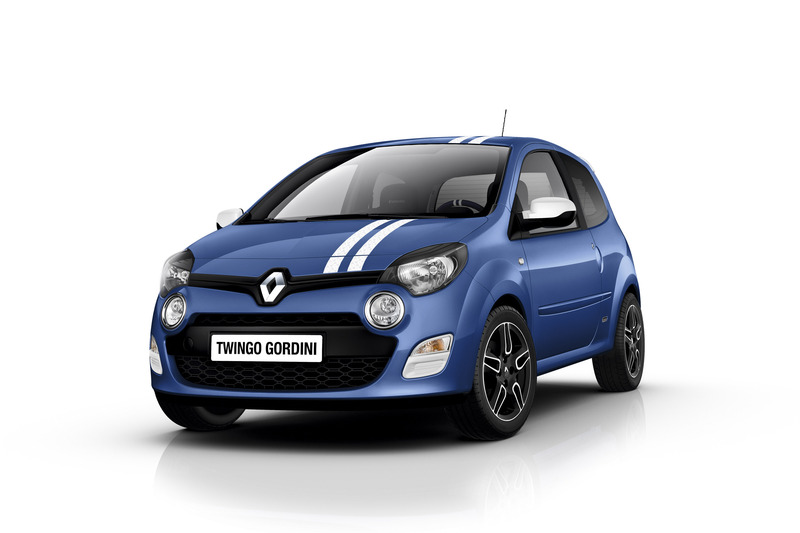 And those who want even more from their car will be able to discover New Twingo Gordini R.S. 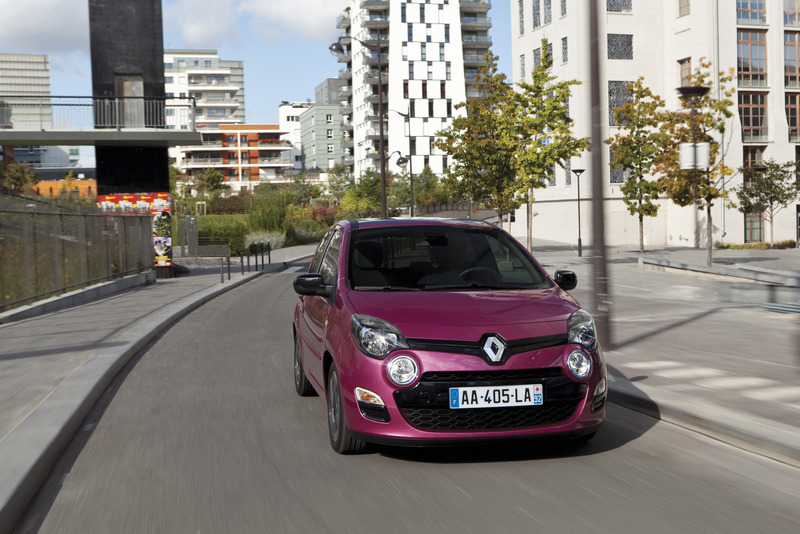 (1.6 16V 133hp) in spring 2012, a version which packs all the sporting DNA of Renault Sport. Gordini has successfully introduced its French Touch in some 20 markets, appealing to a younger and more female customer base. New Twingo will achieve benchmark emissions standards in 2012 with 85g/km of CO2 for the diesel-powered versions and 102g/km for the petrol-engined models. At launch, the dCi 75 and dCi 85 diesels will both emit just 90g/km of CO2 and 104g/km for the 1.2 16V 75hp petrol unit. These flagship engines have all benefited from ongoing improvements. Coupled with the car's finetuned aerodynamics, this work has resulted in significant fuel consumption and greenhouse gas emissions improvements, yet not to the detriment of driving enjoyment. The TCe 100 engine, which boasts peak torque of 155Nm available from low revs, delivers the driving enjoyment of a larger-capacity engine, but with lower fuel consumption. It has the power of a 1.4-litre engine and the torque of a 1.6-litre engine with the fuel consumption of a 1.2-litre engine. New Twingo's wide range of engines has been engineered to suit international markets and sets it apart from other models in its segment. New Twingo is one of the only city cars to be available with Euro5 diesel engines that combine performance and fuel efficiency. New Twingo offers outstanding range: driving economically, a full tank can ensure a range of 1,000km (diesel version) or 750km (petrol). Meanwhile, a new feature allowing customers to monitor their range on the trip computer is now fitted as standard on all versions of New Twingo (depending on markets). 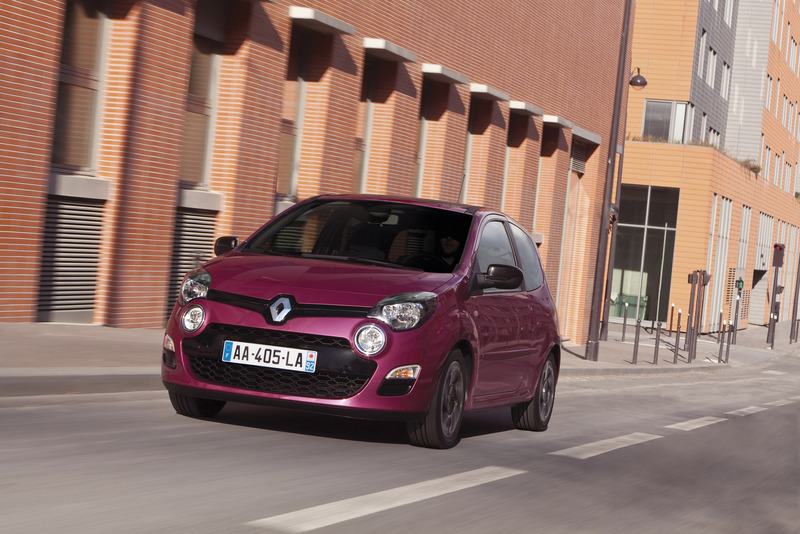 New Twingo is packed with a range of active safety features to protect its occupants. The highquality chassis, engines and ABS with emergency brake assist all combine to make New Twingo reassuring to drive. The Electronic Stability Control is available as an option. New features include a cruise control and speed limiter function which comes as standard on all versions except for ‘Access'. The front fog lights are also standard equipment. Meanwhile, New Twingo is fitted with a seatbelt reminder for the passenger and driver. New Twingo rounds out its passive safety features with front airbags, new side airbags and Isofix anchorage points for the rear seats.